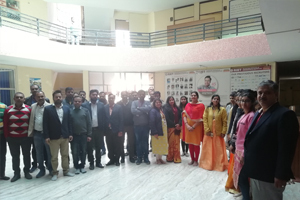 All the faculty members were attired in beautiful yellow color dresses. 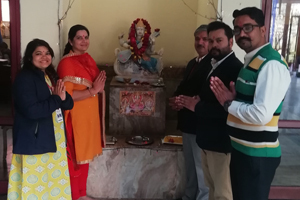 Thespecial puja was held in the admin block, at the auspicious time (02.00 pm), which was conducted by the staff and students. 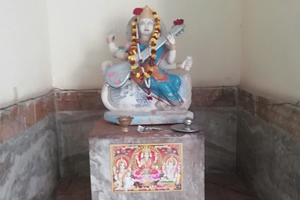 The Saraswati idol was decorated beautifully. 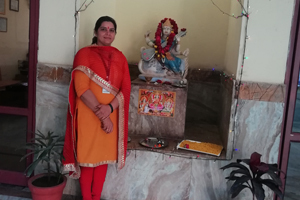 Dr Saroj Hiranwal, Principal RIET,Prof. 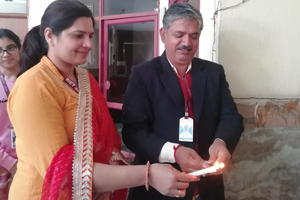 Kapil Dev Sharma, Dean Academics & Admin, RIET, Dr. Sachin Sharma, Vice Principal, RIET, along with all the respective HODs, Faculty members, Staff and all the students of RIET participated in the event.After the lamp lightening the prayer was chanted in perfect harmony and the ceremonious puja was conducted. 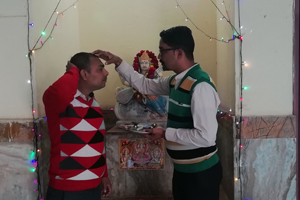 Prasad was distributed at the end.